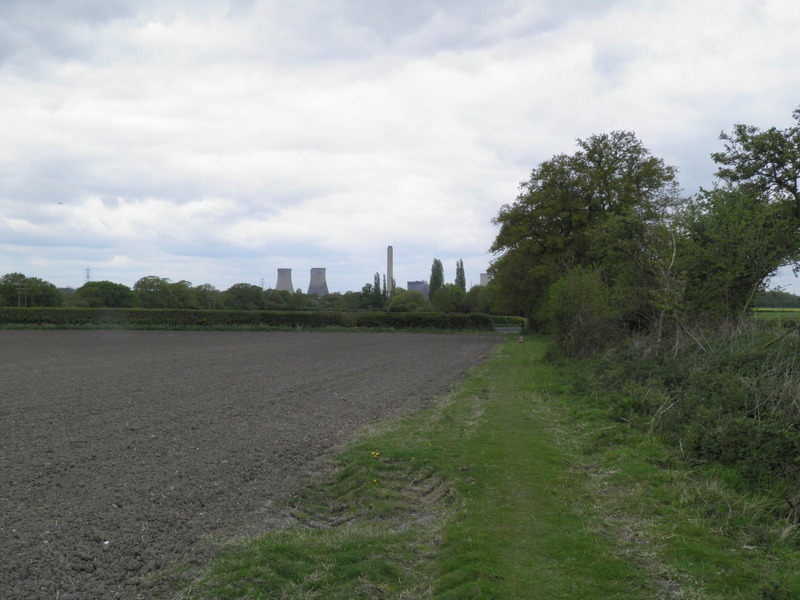 It may start off below Didcot’s cooling towers, but this is a fantastic hike, over lonely uplands to the fantastic views of Wittenham Clumps, then Thames-side wanderings tying together numerous historic villages and towns amongst the south Oxfordshire meadows. 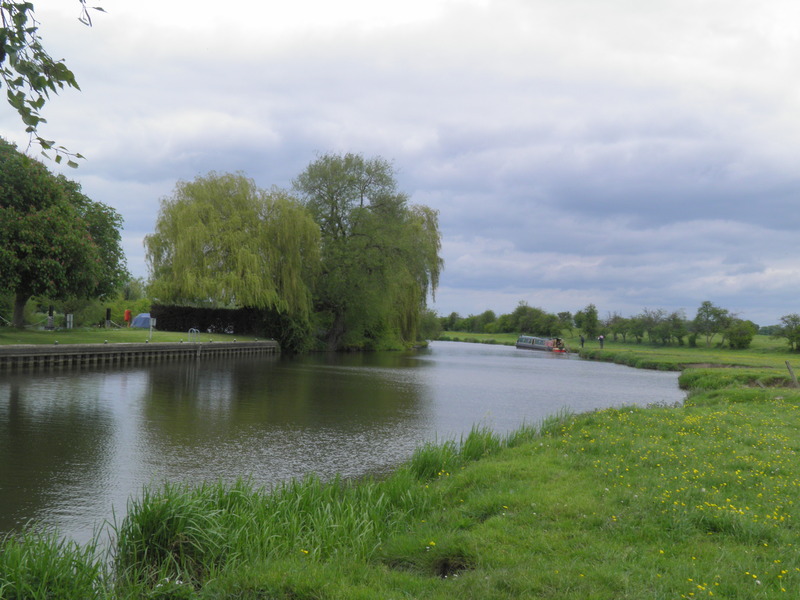 Length: 14 ½ miles (23.3km) – this can, if you wish and if the trains are running, be shortened by about 3 miles by taking the heritage railway from Wallingford to Cholsey . Underfoot: Crossing many field edges, riverside paths and water meadows, there is the potential for quite a bit of sticky going after rain. For much of the year, however, you’ll only have dust on your boots. 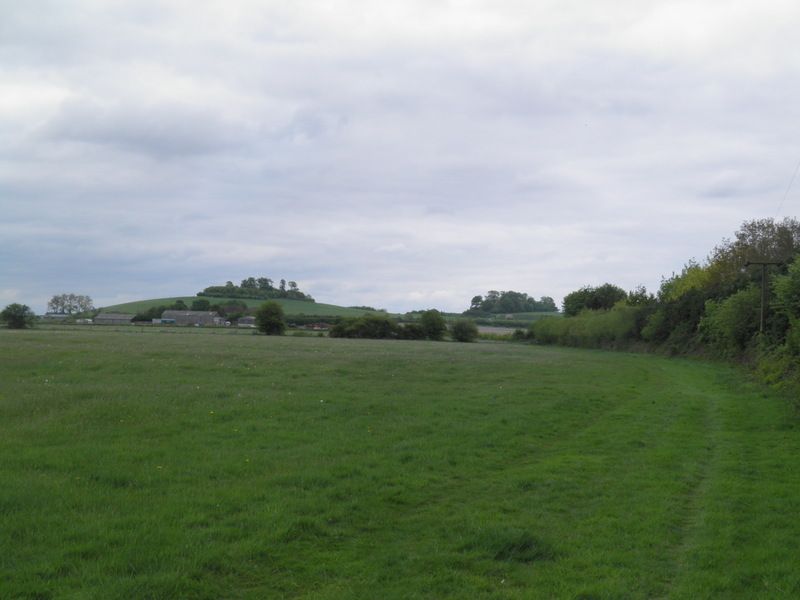 Terrain: With the exceptions of the short ascent and descent from Wittenham Clumps, all gradients are very gentle, and beyond Little Wittenham, the walk is almost completely flat. Maps: 1:50,000 Landranger 174 Newbury & Wantage and 175 Reading & Windsor; 1:25,000 Explorer 170 Abingdon, Wantage & Vale of White Horse. 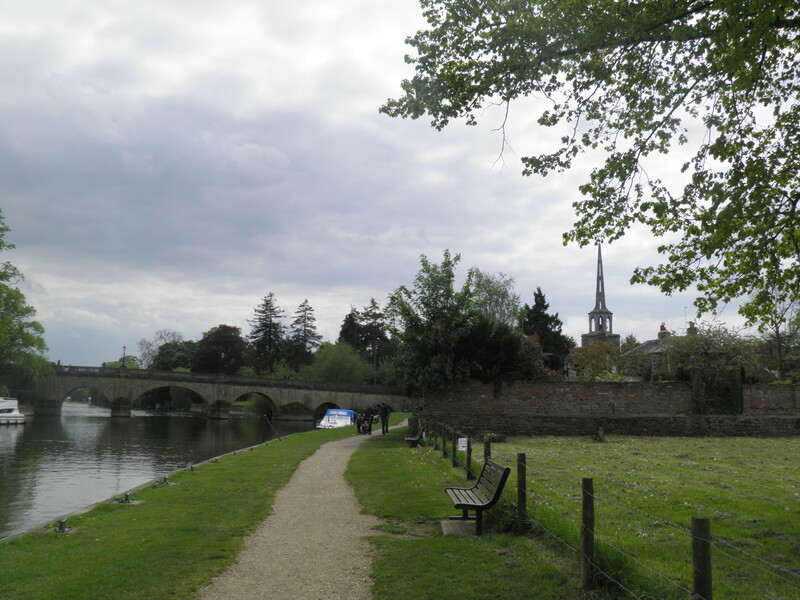 Useful websites: Significant sections of this walk follow the Thames Path. 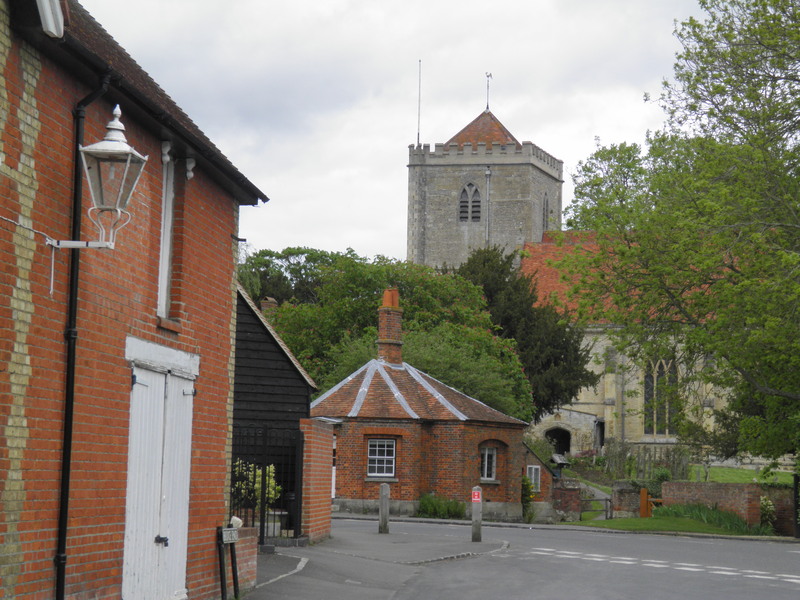 The route passes the Earth Trust Centre at Little Wittenham, passes through historic Dorchester-on-Thames and Wallingford. 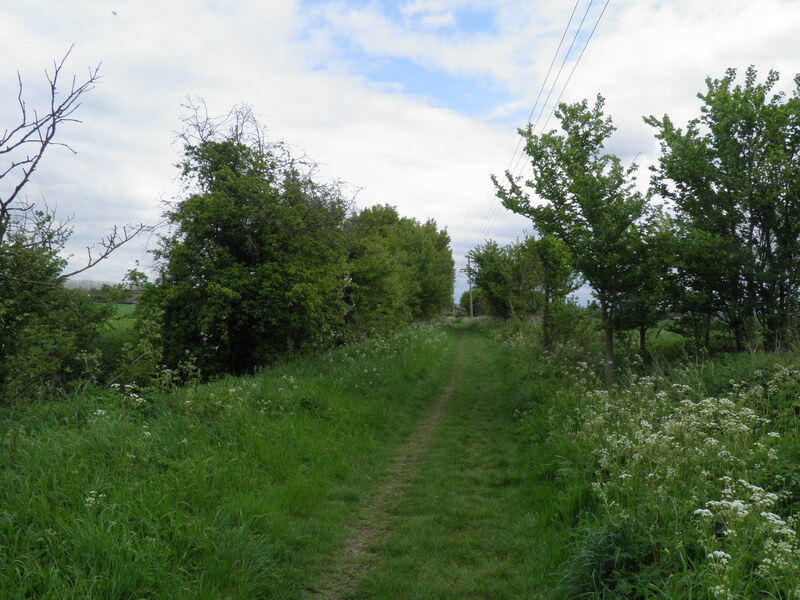 The walk parallels the Cholsey & Wallingford Railway, which provides an alternative to the last three miles on some weekends. Getting there: Great Western operate three fast trains per hour Monday-Friday and two per hour at weekends from London Paddington to Didcot Parkway, taking around 42 minutes. Getting home: Great Western operate two trains per hour (one per hour on Sundays) from Cholsey to London Paddington, taking around 84 minutes. However, it is almost always faster to alight from these trains at Reading and change onto an express to Paddington from there, meaning the journey can be done in around 60 minutes. Online journey planners will tell you when this is the case. The direct trains from Cholsey run via Ealing Broadway for District and Central line connections. The Cholsey & Wallingford Railway operates heritage trains from Wallingford on selected weekends as an alternative to the last 3 miles of the walk. 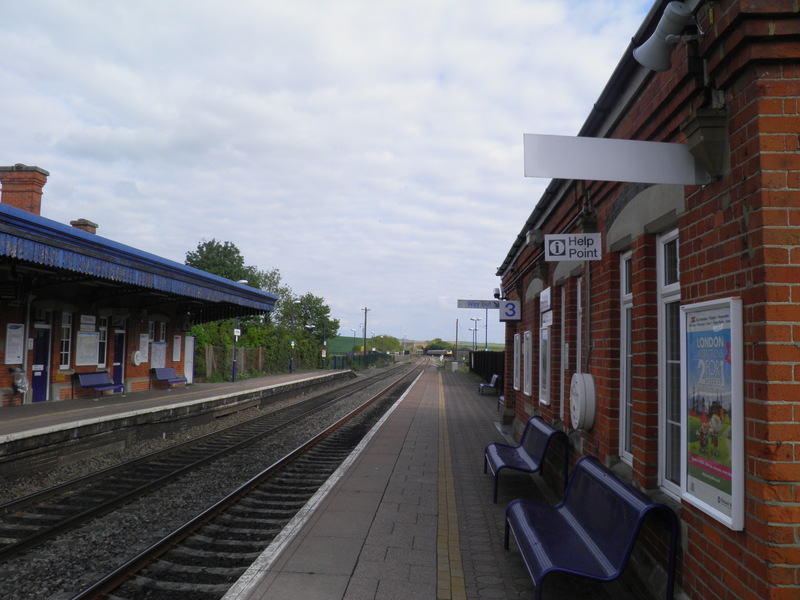 Dates and times are available here – the journey is around 15 minutes and runs into platform 5 at Cholsey’s mainline station. 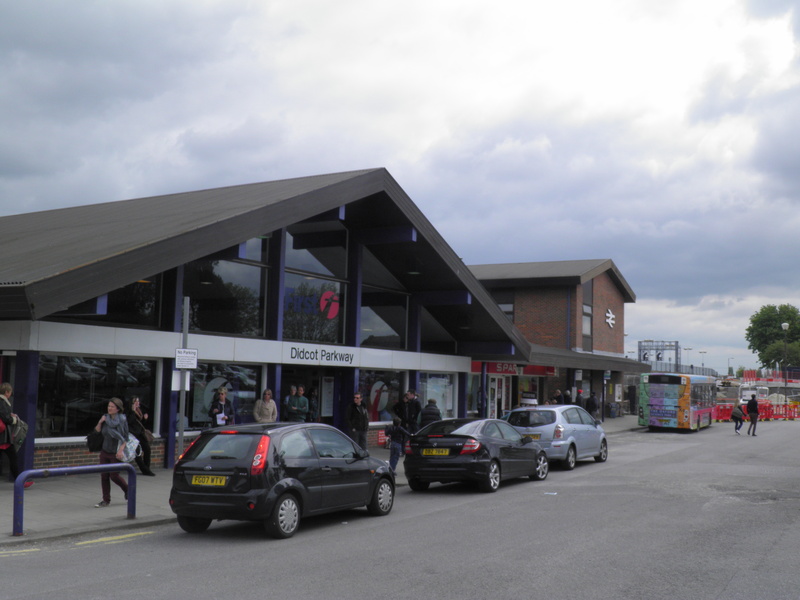 Fares: An off-peak return to Didcot Parkway for £23.40 (child £11.70, railcard £15.50) will cover both journeys. A Wallingford-Cholsey single on the preserved line is £3.50 adult, £2.00 child (may be higher if steam trains are operating). walk, but it is worth persevering. Most of this section is in a far from unpleasant green lung, and the transition from suburb to country fields is almost startling in its suddenness. It is very appropriate to arrive in Didcot on Brunel’s Great Western Railway, as the town is a product of it. Until the London-Bristol railway passed through this spot in 1839, Didcot was an insignificant village of perhaps 100 people, and had local landowner Lord Wantage not refused permission for the line to pass through much larger Abingdon, it might have remained that way. The town grew in importance once the branch line to Oxford was built, making Didcot an important junction which it remains today, although the line south to Newbury and Southampton has closed. Towering over the station and the town are the cooling towers of the Didcot A and B coal and gas power stations. Visible for much of the walk, these are sometimes dubbed ‘the cathedral of the vale’. Didcot A, built in 1968 after approval in a local referendum, ceased operation in March 2013 as it no longer meets emissions targets. Its younger sibling, Didcot B, opened in 1997. Emerge from the main exit at Didcot Parkway station and head left in the forecourt and onto the road. At the traffic lights ahead, turn left on the narrow road under the railway (signed as a cycle route to Abingdon). 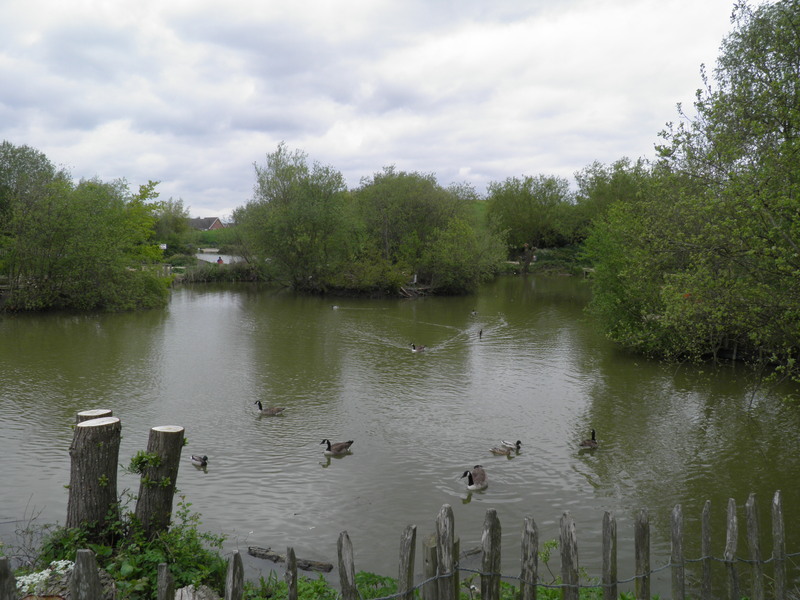 Just beyond the bridge, cross and take the second of two paved paths on other side (signed to Ladygrove Lakes). Approaching a play area, keep to the pathway as it swings right then left. Cross a road , passing to the right of an artificial hill. remarkable levels of local health. In 2007, the Office of National Statistics found that the residentes of the Ladygrove estate, which you are passing through, could expect to live for 86 years before serious ill health struck, higher than anywhere else in England & Wales, and compared to a national average of around 68 years. At a path junction keep straight ahead (signed to Wittenham Clumps), passing the lakes on your left hand side. Keep straight ahead at another path junction  by a mock Tudor house. Cross one further residential road and you reach the edge of Didcot at the A4130 by-pass. Cross with care and turn briefly right over a bridge, before descending steps to a stile (footpath sign). The path runs up the left hand field edge, and at the field corner swings right to continue beside the hedge. the next field, turning right along its boundary, then following the hedge around the corner to the left. At the far corner of the field, turn right over a stile to reach the back of lovely Ladygrove Farm. Veer left beside the pond to join the gravel drive and follow this to the B4016. Cross and take the footpath almost opposite, climbing gently up the grassy margin of a large field. Having flattened out at the top of the climb, the path briefly doglegs left to join a track beside a small covered reservoir . Keep straight ahead. After about 200m, the track swings left through the hedgeline. Here, take the path straight ahead (no sign) along the field margin, with the hedgeline to your right. After a steady tramp along the hilltop, you reach a road on a corner, turning left. You soon reach a junction, where you keep straight ahead on a slightly busier road (signed to Brightwell). Just beyond a cottage on the right, turn left on a small path  (footpath sign slightly set back). Through a kissing gate you are into hilltop meadows where you head right, towards the distinctive Wittenham Clumps ahead. ahead (signed to Wittenham Clumps). As you walk past farm buildings, you have superb views south over the vale. The path curves north, passing a solar array and then the Earth Trust Centre , to reach a minor road. Pass through the gate opposite, past an information board and a second footgate. From here, follow the faint track heading straight up the slope ahead to the summit of Round Hill. 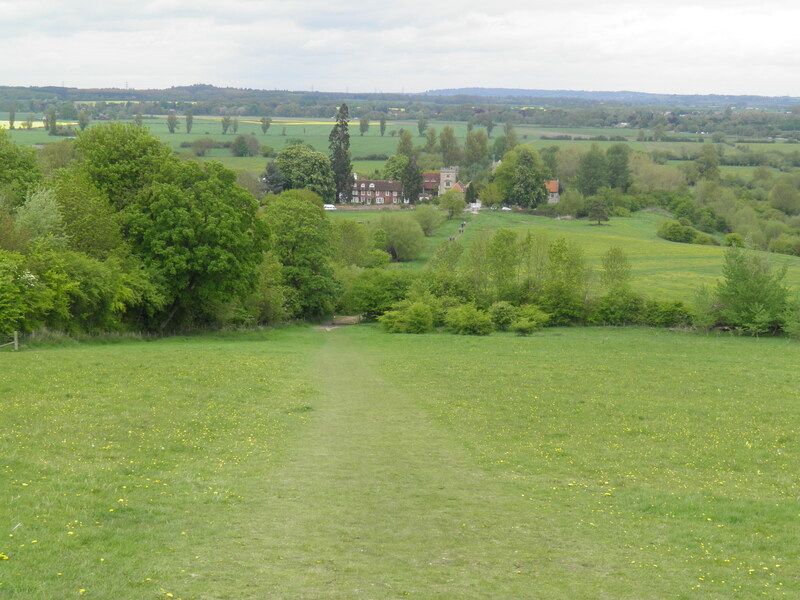 At the top, walk left around the edge of the wood, views opening up over Little Wittenham, the Thames, and Dorchester. Hill, whose abrupt slopes and clumps of ancient beech trees on their summits stand out for some distance in this landscape, despite relatively modest heights. 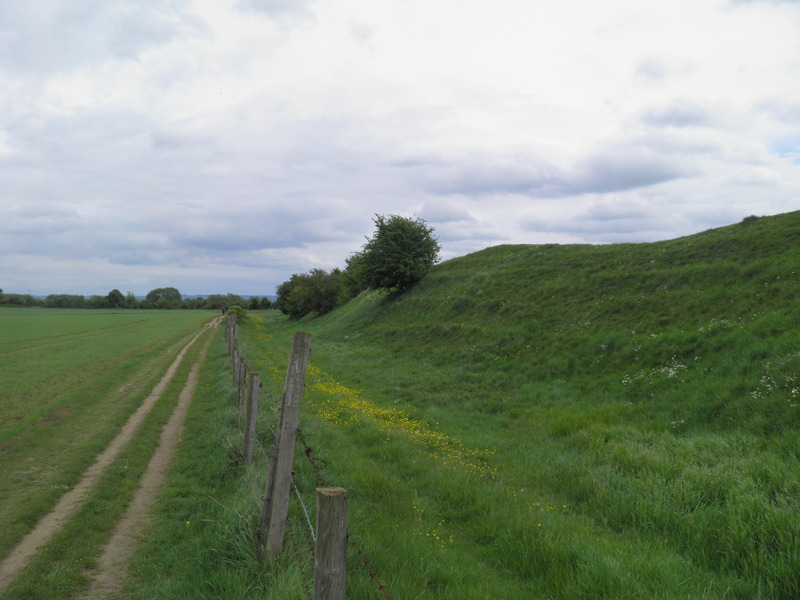 Both hills are archaeologically rich, although this is most obvious on Castle Hill, worth a short diversion southeast from the summit of Round Hill, which has the earthworks of a Bronze Age fort, abandoned during the Iron Age but subsequently re-occupied by the Romans. 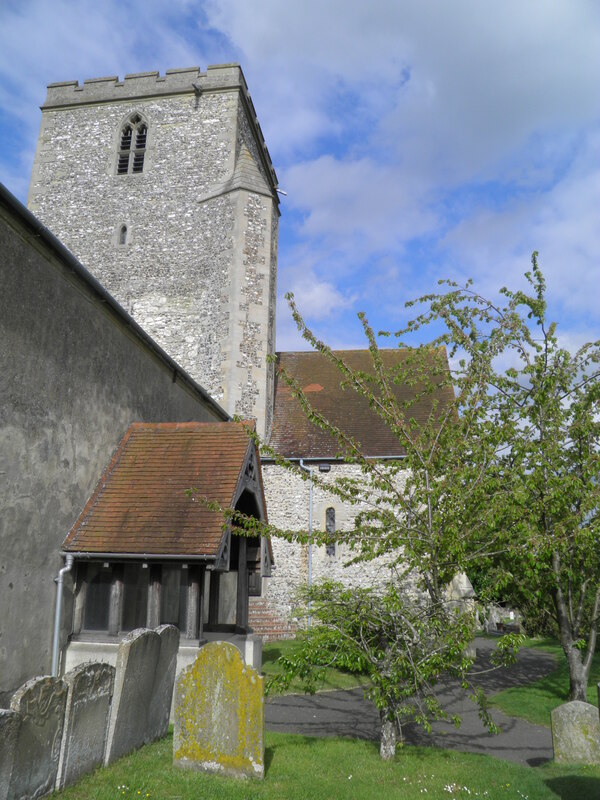 Wittenham church. 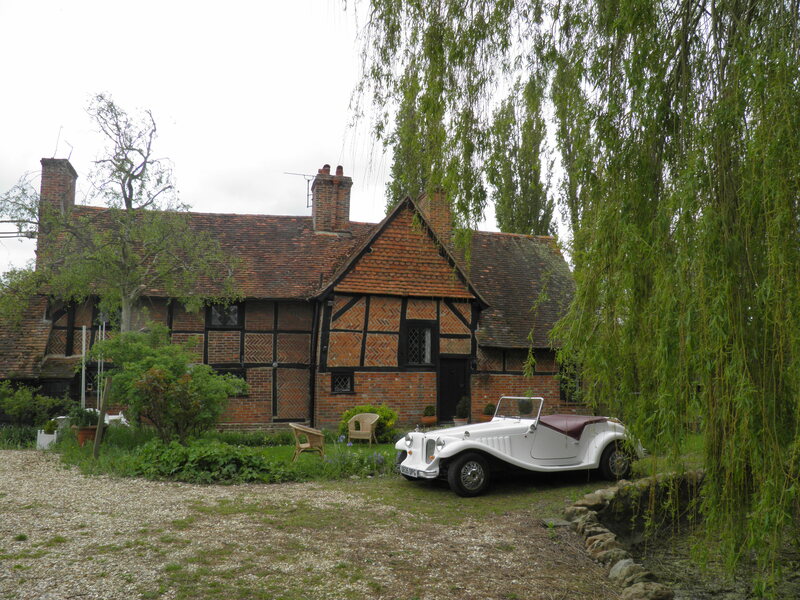 At the bottom of the hill you emerge onto the road in this idyllic little hamlet, with the manor next to the church. The lovely church of St Peter is mainly a mid-19th century reconstruction, but the bell tower is still mainly in its 15th century form. This forms an attractive pair with the 16th century tower of the manor house beside it, built by William Dunch, who purchased the estate in 1552 and many of whose successors became Sheriffs of Berkshire (this area was only transferred to Oxfordshire as recently as 1974). William Dunch is buried in the church in the family tomb, along with his wife Mary Cromwell, aunt of Oliver. 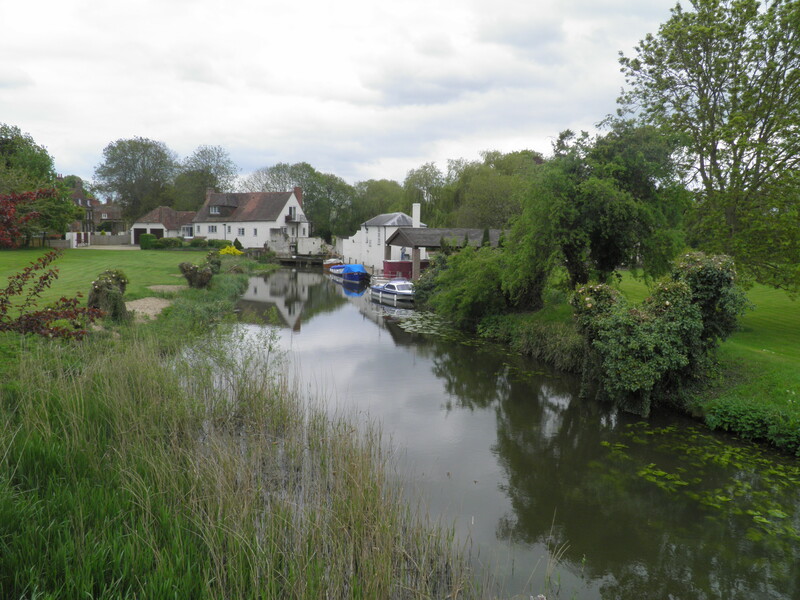 Thames at Little Wittenham Bridge. 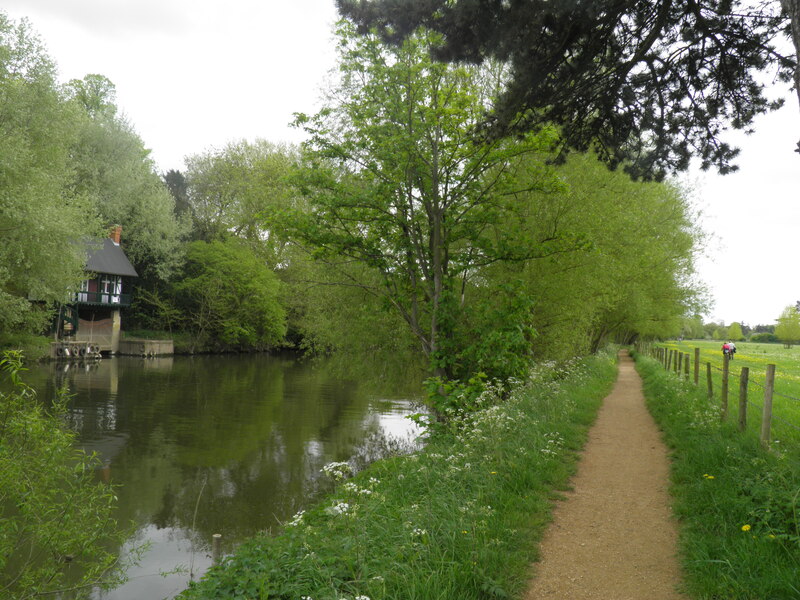 After crossing the final bridge, turn left along the riverside path to quickly reach pretty Day’s Lock. In its current form as a ‘pound lock’ (i.e. with a pair of gates), Day’s Lock dates from 1789, though it was pre-dated by a primitive ‘flash lock’, where a gate was simply removed to allow boats to be carried over the change of gradient using the water released. Day’s Lock is now the main location for measuring water flow in the Thames and, perhaps more importantly, the site since 1983 of the annual World Poohsticks Championships. Dorchester information board  pass through a footgate onto a bridleway running between hedges. Having cut through Dyke Hills – the remains of the Bronze Age defences of Dorchester – the path swings right alongside them. Crossing a farm track you keep beside the dyke, now much higher. At the end of the field, where the dyke peters out , swing left on the path towards the houses of Dorchester. 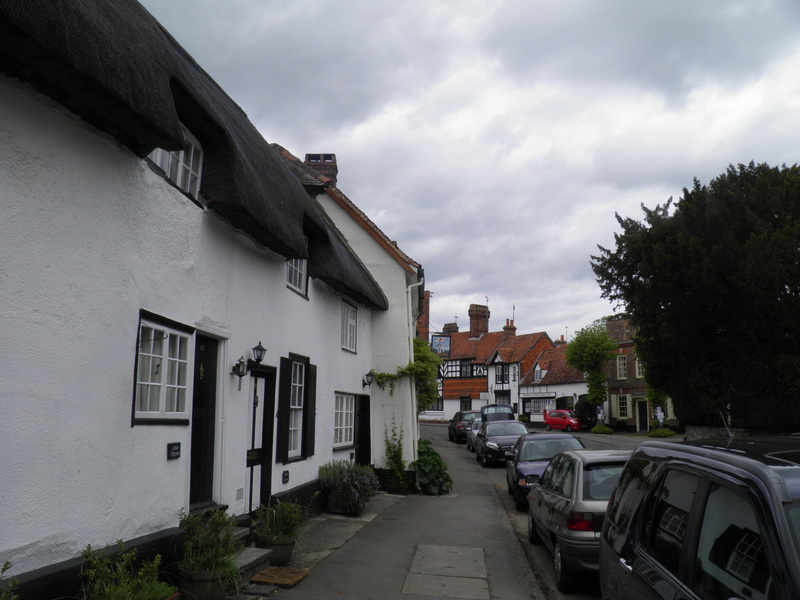 On reaching the houses, keep straight ahead on the gravel road, passing the thatched cottage to the left. On reaching a junction of tarmac roads , take the second left, past the little Catholic church. You soon reach a junction with a busier road by a toll house, with Dorchester Abbey immediately beyond. Bishop Birinus (as well as the more common St Peter and St Paul) – there are however traces of much older stonework in the construction, possibly part of a Saxon cathedral. 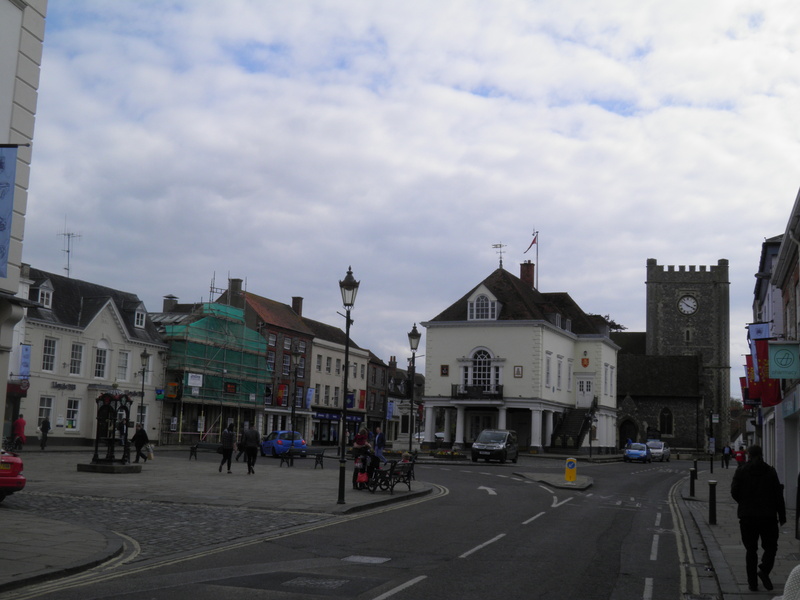 As well as remaining as a parish church, the Abbey also contains the Dorchester Abbey museum, detailing the history of the church and its town. As well as a religious centre, Dorchester was an important communications point, sitting on the main road from Oxford to London – of its ten original coaching inns, two survive in business today. Turn left on High Street, into the historic centre of Dorchester, lined with coaching inns and half timbered houses. Just before the Old College (now an antiques centre) turn right on Queen Street , then first right on Manor Farm Road. This leads towards a fine manor house, but before you reach it, keep to the tarmaced road swinging left. junction . Here turn right, leading to a bridge over one arm of the Thame and into Hurst water meadow. With a River Thame flowing into the River Thames, this is a confusing area, in water terms. 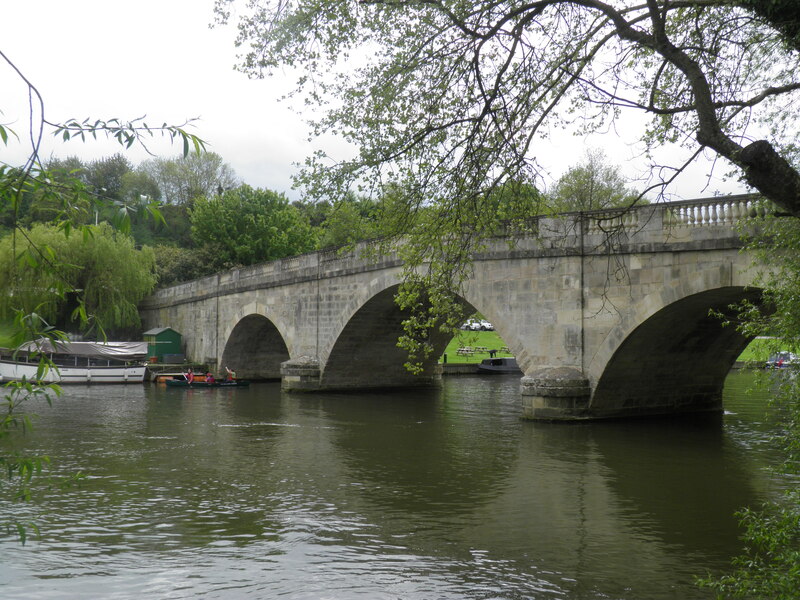 Historically, the Thames through Oxford was sometimes known as the Isis, and there is a school of thought that it should only be referred to as the Thames below the confluence at Dorchester, where it becomes the Thames-isis, which was subsequently abbreviated to ‘Thames’. Keep straight ahead on the clear path over the meadow. 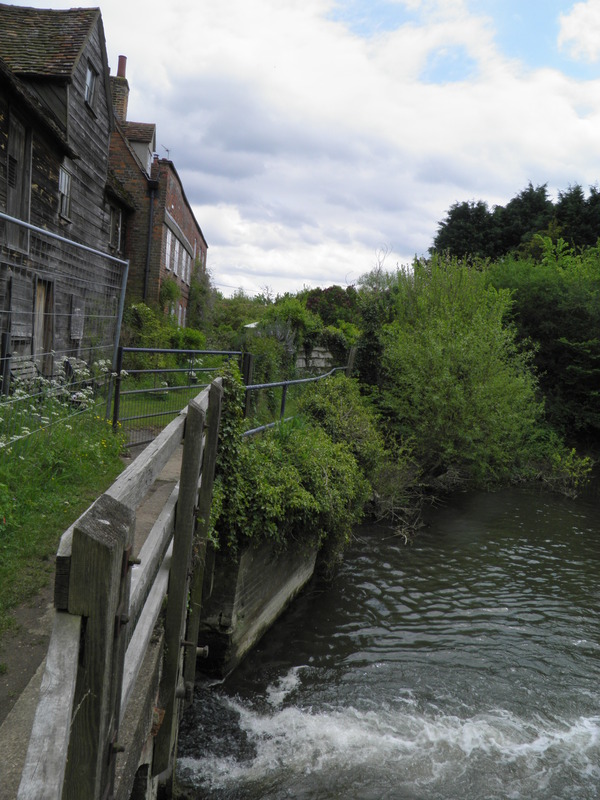 At the far side, cross a stile and then the other arm of the Thame by pretty Overy mill. From here the path soon leads you out to the end of a minor road . Keep ahead on the road and where it swings right, head left on a track (bridleway sign). 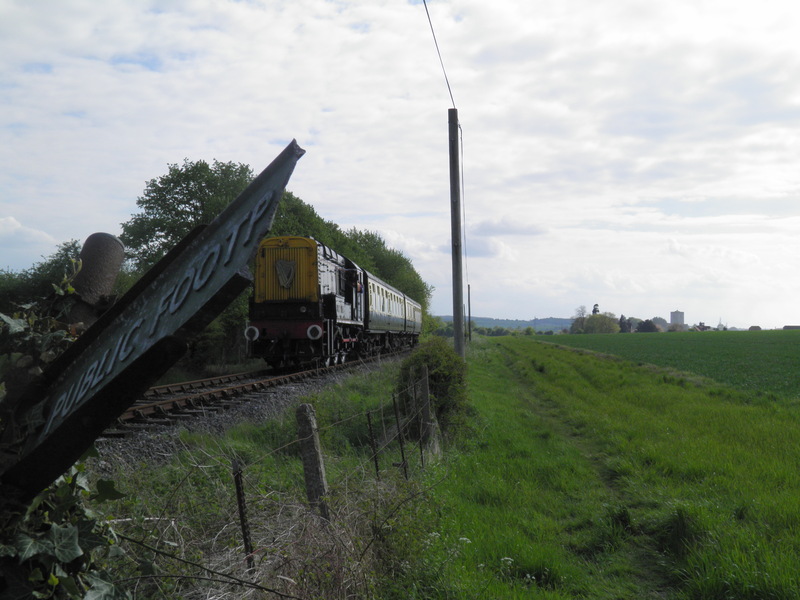 The track runs up a field edge to pass under the Dorchester bypass. Beyond the bridge, you continue beside the field edge, close to the Thame. Just beyond a telephone line, turn right on Priest’s Moor Lane , a pleasant grassy track across the plain towards Warborough. Keep straight ahead along the lane and, on reaching the corner of a minor road, straight ahead on that. Entering Warborough, at a junction  cross the road ahead and take the tarmac path ahead, soon coming alongside the A329. Round a bend you reach the village shop, with the church opposite. Cross at the traffic island and continue along the main road past the war memorial (turn left for the pleasant village green and Six Bells pub). instead keep to the tarmac path paralleling the main road, but now on the other side of a small stream. 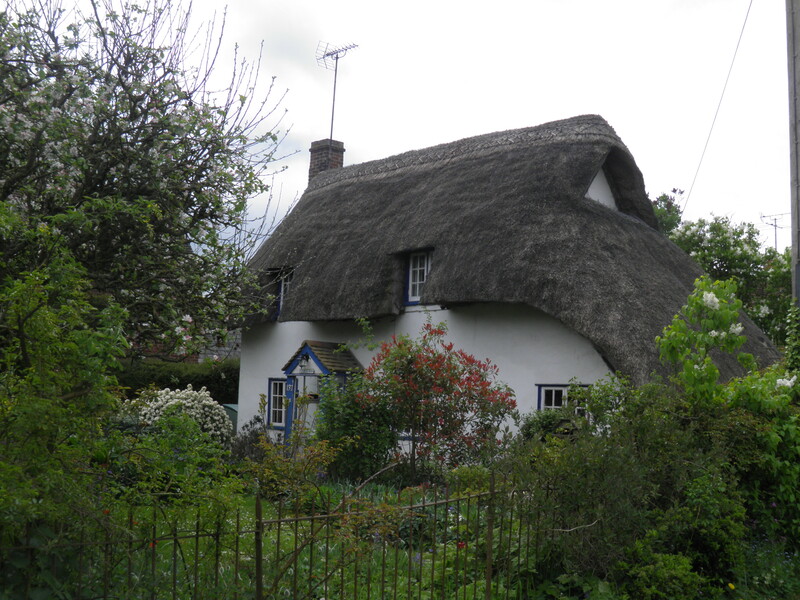 There are many more fine cottages as Warborough merges into Shillingford. Where the main road swings left and crosses the path , keep straight ahead, still following the stream. Eventually, the path merges into a minor road and soon reaches a junction with the busy A4074. Cross, and take Wharf Road opposite. This passes further cottages and farms of Shillingford to reach the river, by a fine thatched boathouse. Immediately before the river, follow the Thames Path (TP) sign left, between walls. Reaching a path junction , head right, keeping straight ahead on this fenced path across one drive. On reaching a second , by High Trees, head left along it to reach a road, often with traffic queuing to cross Shillingford Bridge. of 1767. However, this has been a crossing point of the Thames for many centuries previously, with a ferry on this site from at least 1379 – described poetically in a seventeenth century travel journal by Thomas Baskerville as “a great barge to waft over carts, coaches, horse and man”. Cross, and turn briefly right along the pavement. Do not cross the bridge, but take the path dropping to the riverside alongside it (TP), heading left along the bank. Keep to this easy path beside the Thames, first through woods, then meadows. Eventually you reach the serried ranks of shining white boats at Benson cruiser moorings. 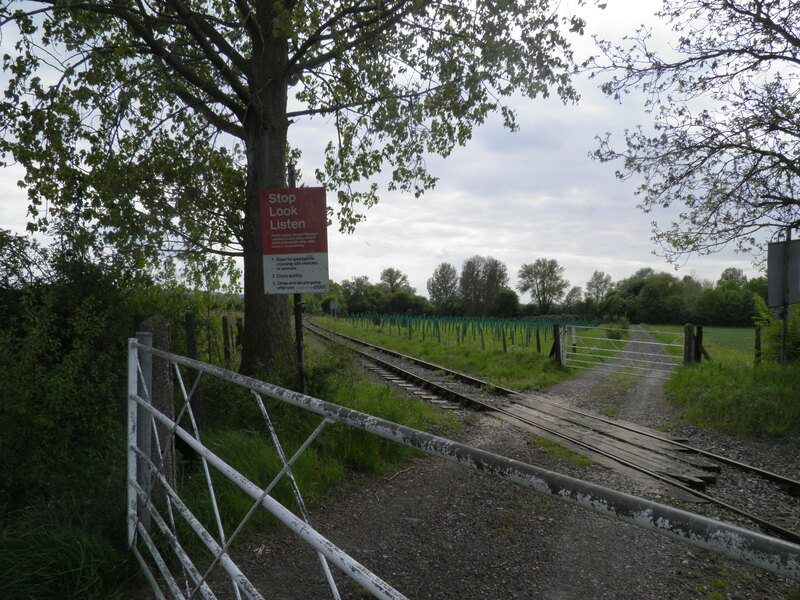 Continue past the slipway and the Waterfront Cafe to pass through a footgate into a public field. Head up to the top left hand corner and out onto a minor road . Turn right (TP). Keep straight ahead on this road for about 500m, until an open section on the right gives a view across to the river and a weir. Just beyond turn right on a footpath (TP)  leading to a footbridge over a mill channel, then a much longer one over the weir and sluice. You then cross the lower gate of Benson Lock before turning left to continue the journey downstream along the TP. On reaching a minor road, head left to the road coming off the bridge, heading right away from the river. At the traffic lights  turn left onto St Martin’s Street, passing the fine town hall and St Mary’s church. centre, including the arcaded 17th century town hall in the middle of the main street and three large historic churches. On reaching St Leonard’s Square  keep broadly straight ahead on St Mary’s Street, passing a Chinese restaurant. At a junction by a patch of green, with white cottages facing, keep straight ahead (turn right for around 800m here to reach the Cholsey & Wallingford Railway station), passing Angier’s Almshouses. Just beyond, head left on St Lucian’s Lane (footpath sign) . Keep straight ahead, ignoring the footpath sign to the right, until you return to the riverbank. Head right, passing the smart boat houses of Oxford University Boat Club. The path crosses the bottom of a number of gardens. Immediately before a footbridge over a fast flowing tribituary (Bradford’s Brook) head right on a narrow path beside it . Keep straight ahead and this eventually returns you to the road at the entrance to Winterbrook. Turn left for about 400m. Just before the pavement on the left hand side ends, cross by a bus stop and walk up Winterbrook Lane (footpath sign) . Where the road ends, a grassy track continues ahead, along a field boundary, to reach the A4130 Wallingford bypass. Cross with care and take the track opposite (footpath sign to Cholsey). You soon reach a level crossing. Immediately after crossing the line you leave the track, following the waymark left beside the railway. Wallingford to the mainline. Opened in 1866, it was originally planned as part of a much longer through route to Princes Risborough, but poor traffic levels meant it never progressed beyond Wallingford. Closed to passengers in 1959 and to freight in 1981, it was reopened by a preservation society in 1997, operating trains at selected weekends and bank holidays. Most services are operated by diesel locomotives, but there are occasional steam services. The path now follows the railway closely for some distance, ignoring paths off on either side as you pass large farmhouse at Hillgreen Farm. 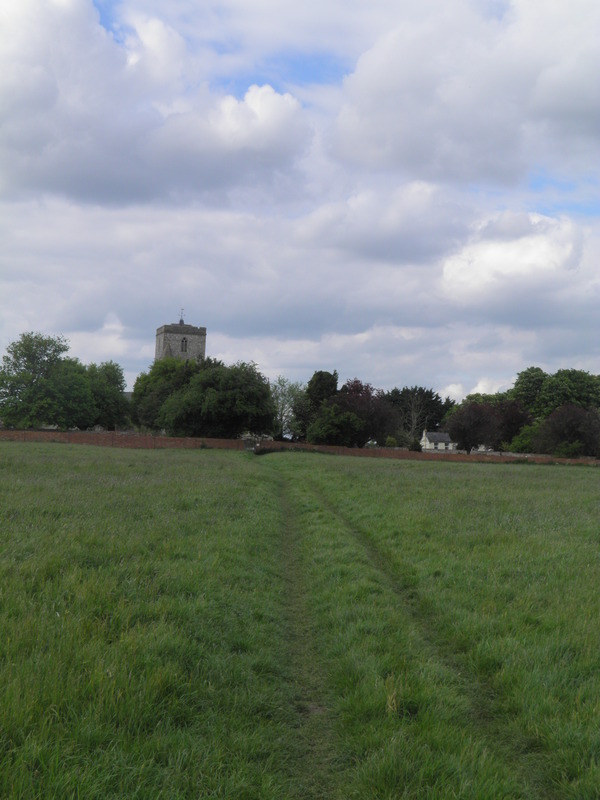 As you round a bend in the line, Cholsey church’s tower appears on the near horizon. away from the railway, climbs slightly through the meadow to reach a road. 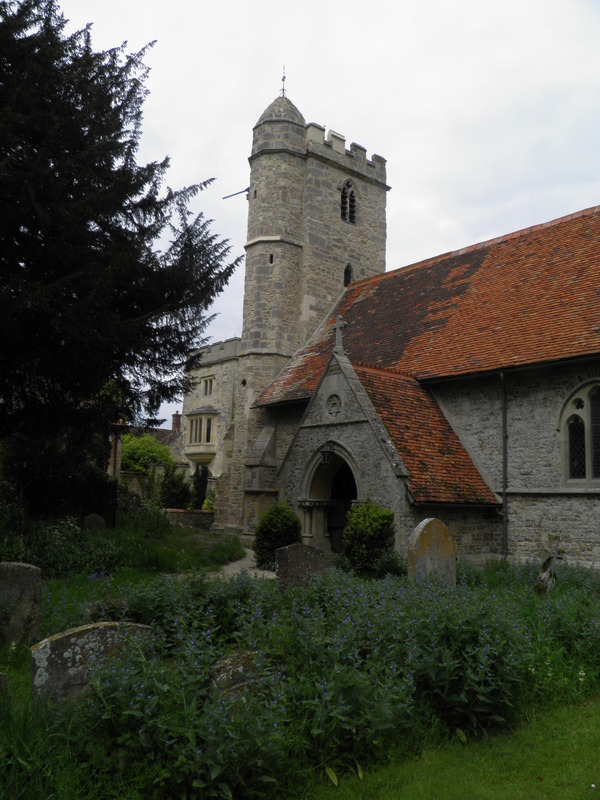 Take the drive towards the church almost opposite and enter the graveyard (there is a map to help you locate Agatha Christie’s grave) Follow the path past the flint-knapped church. From the side entrance, the Christie grave is over the grass in the far right hand corner of the graveyard. Cholsey church, situated at some distance from the town it serves, has its roots as an abbey founded by Ethelred the Unready in around 986, possibly the last great Anglo-Saxon monastery to be built in England – the lower part of the current tower is probably the only remaining part of the abbey. The abbey’s importance was such that in the thirteenth century, the largest tithe barn in Europe was constructed alongside it, demolished in the nineteenth century. Today, the most famous feature is the grave of Agatha Christie, who died at her home in Winterbrook in 1976. Her large gravestone, where she is buried with her husband under the married name of Agatha Mallowan, is situated in the north west corner of the graveyard. church. This passes through a newer part of the cemetery, then back out into the fields. A clear path leads down to a footgate, back beside the branch line. The path follows the line again, as it curves round towards the mainline ahead. After a kissing gate and a small footbridge, the path enters woods and you soon turn left under the railway  on an unusual bridge where the path is built on top of the stream. Through the bridge, keep to the right of the stream and then follow the path as it bends right away from it. Emerging onto a suburban road on the edge of Cholsey, turn right. Don’t pass under the railway bridge ahead, but follow the road around to the left. Where road veers away from railway embankment, veer right  on a gravel path behind garages to keep beside the line. This brings you out in the forecourt of Cholsey station. Trains to Reading and London normally depart from platform 4, but check the information screens.